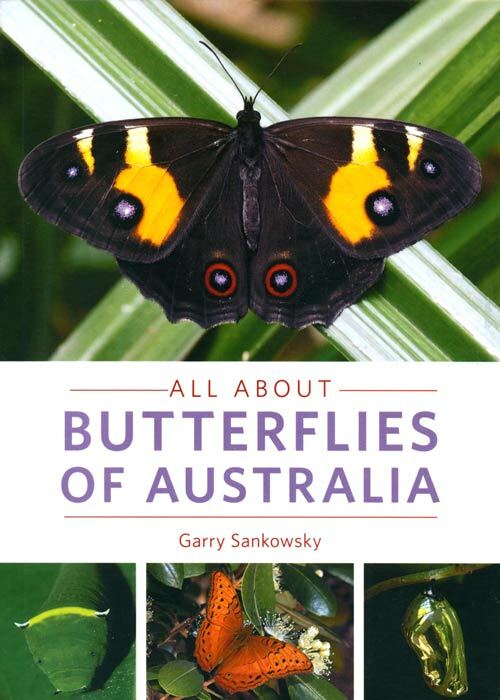 This book provides a superb introduction to Australia’s varied butterfly species. Early chapters explore lifecycle, with stunning images showing the progression from egg through caterpillar and chrysalis stages to adult butterfly. It also covers subjects such as defence mechanisms (camouflage, mimicry etc), feeding and introduced species. 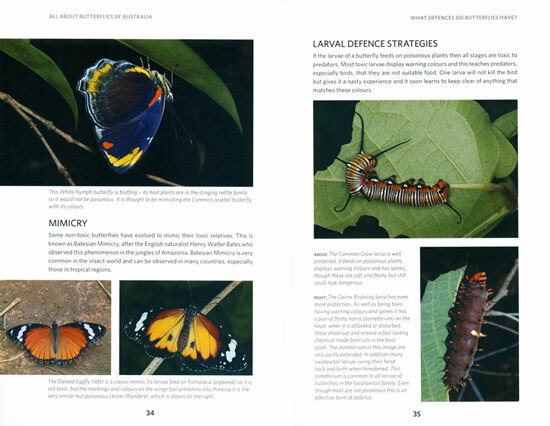 A large section of the book includes identification spreads on key species and families of Australian butterflies. For many species it covers all stages of development, and chrysalises, together with male and female butterflies where they differ significantly in appearance. Another very useful feature is the ‘quick comparison’ guides to similar species. Closing chapters include sections on how to tell a butterfly from a moth, key habitats, threats and conservation, and planting backyards to attract butterflies. New Holland Publishers, 2015. Octavo, paperback, limp plastic, colour photographs. Monarch butterflies are one of nature’s most recognizable creatures, known for their bright colors and epic annual migration from the United States and Canada to Mexico. Yet there is much more to the monarch than its distinctive presence and mythic journeying. 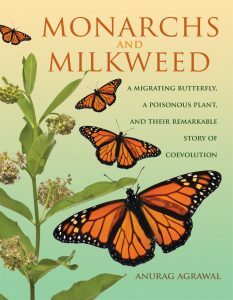 In Monarchs and Milkweed, Anurag Agrawal presents a vivid investigation into how the monarch butterfly has evolved closely alongside the milkweed – a toxic plant named for the sticky white substance emitted when its leaves are damaged – and how this inextricable and intimate relationship has been like an arms race over the millennia, a battle of exploitation and defense between two fascinating species. Field Guide to Butterflies of South Africa. 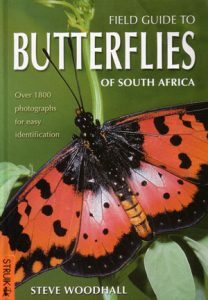 An up-to-date field guide designed for easy identification of all the butterflies occuring in South Africa. A detailed introductory section discusses butterfly biology, behaviour and anatomy, and introduces the families and subfamilies occurring in the region. Individual species accounts provide information on habits, flight periods, broods, habitat, distribution and larval food source, in addition to the identification pointers. A simple numbering system makes for clarity and ease of use. Photographs are mostly of live specimens in the wild and include under-, uppersides and dimorphism where necessary. Northern Australia is one of few tropical places left on Earth in which biodiversity — and the ecological processes underpinning that biodiversity — is still relatively intact. However, scientific knowledge of that biodiversity is still in its infancy and the region remains a frontier for biological discovery. The butterfly and diurnal moth assemblages of the area, and their intimate associations with vascular plants (and sometimes ants), exemplify these points. However, the opportunity to fill knowledge gaps is quickly closing: proposals for substantial development and exploitation of Australia’s north will inevitably repeat the ecological devastation that has occurred in temperate southern Australia — loss of species, loss of ecological communities, fragmentation of populations, disruption of healthy ecosystem function and so on — all of which will diminish the value of the natural heritage of the region before it is fully understood and appreciated. 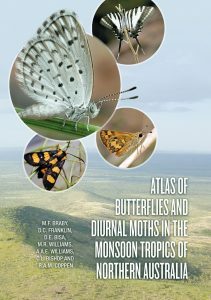 Written by several experts in the field, the main purpose of this atlas is to compile a comprehensive inventory of the butterflies and diurnal moths of northern Australia to form the scientific baseline against which the extent and direction of change can be assessed in the future. Such information will also assist in identifying the region’s biological assets, to inform policy and management agencies and to set priorities for biodiversity conservation. This is a revised second edition of a groundbreaking photographic field guide to the butterflies of Mexico and Central America. It covers almost all of the more than 1,700 butterfly species found in Mexico, plus many found only in Central America, including more than two-thirds of those in Costa Rica. 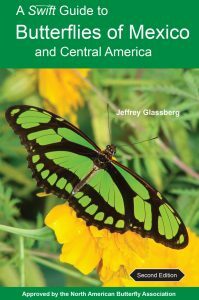 Written by Jeffrey Glassberg, the pioneering authority on the field identification of butterflies, A Swift Guide to Butterflies of Mexico and Central America features 3,250 large, gorgeous colour photographs, the very best images available, accompanied by authoritative facing-page text. Range maps, field marks, and host plants are included for all Mexican butterflies. This second edition includes more species, many new photos, and updated text, maps, and species names. The result is an ideal field guide that will enable you to identify almost every butterfly you see.